(Cincinnati, OH) It’s time to walk the line. Ensemble Theatre Cincinnati presents the regional premiere of Skeleton Crew, a compelling drama about a driven team of autoworkers trying to navigate a cutthroat industry. This searing new play is by Dominique Morisseau (Detroit ‘67 ), a 2018 recipient of the prestigious MacArthur Foundation Fellows Program (unofficially referred to as a Genius Grant). 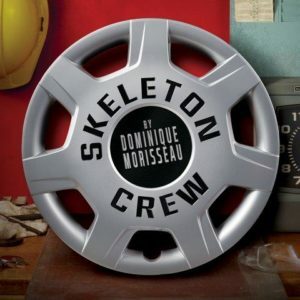 Skeleton Crew is the final installment of Morisseau’s powerful Detroit Project, which was inspired by August Wilson’s landmark Century Cycle. Times are rough in 2008 Detroit as a hundred-year-old industry grinds to a halt. As rumors fly about factory closings, a tight-knit trio of autoworkers faces tough decisions about the future, while their foreman weighs the demands of white-collar management status against his fierce loyalty to his team. From the playwright of Detroit ’67 comes a powerful and engrossing portrait of courage and camaraderie in blue-collar America. A complete calendar of performances and tickets are available online at www.ensemblecincinnati.org.